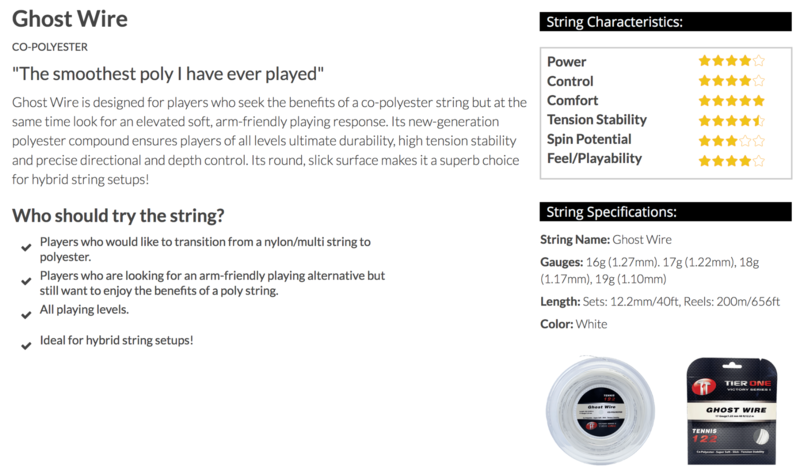 Ghost Wire is designed for players who seek the benefits of a co-polyester string but at the same time look for an elevated soft, arm-friendly playing response. Its new-generation polyester compound ensures players of all levels ultimate durability, high tension stability and precise directional and depth control. Its round, slick surface makes it a superb choice for hybrid string setups!